The Alton Towers Resort is proving that mum's the word this Mothering Sunday by offering a selection of exciting treats giving mum the chance to escape to the UK's favourite theme park and luxurious spa! The park is offering mums a free Fastrack on Sunday 3rd April to the Resort's newest roller coaster, Th13teen allowing them to ride without having to wait! Those looking for a more traditional present can then treat their mums to a specially designed Mother's Day Spa gift from only £35. The Alton Towers Spa voucher includes a pampering Elemis taster facial plus a relaxing 3 hour session in the beautiful Aqua Relaxation Rooms. Extend mum's pampering with an overnight package for two in the Alton Towers Hotel including a delicious breakfast and 3 course Mother's Day dinner. Another deal the park has for mums is an 'all you can eat feast' at Caribbean restaurant Flambo's. With fantastic views overlooking the Waterpark, Flambo's is the perfect place to celebrate Mothers Day in a fun & tropical environment. Plus every Mum will receive a free gift, courtesy of Carte Blanche for that extra special treat! Tables can be booked on 01538 705011. 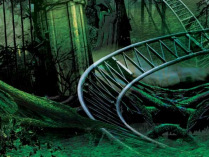 Ian Crabbe, Divisional Director of the Alton Towers Resort said, "Mother's Day is a great reason to spend time with all the family so why not make it thrilling! For the less daring, the Mother's Day Spa and overnight packages are available between April 2nd and 7th - the perfect gifts to pamper any deserving mother." For mums brave enough to experience TH13TEEN, simply visit the Mutiny Bay Sales & Information booth at the Alton Towers Theme Park to claim your free Fastrack! Offer is limited to the first hundred mums and is available on the 3rd April only.